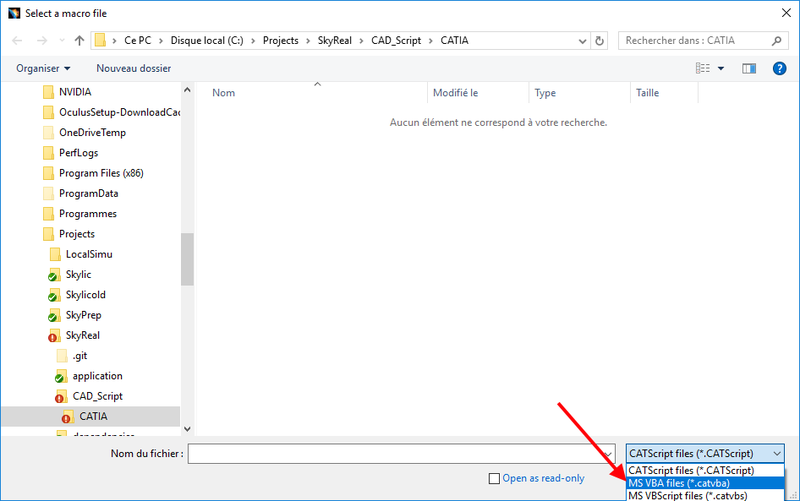 Open the CatProduct in Catia V5. Go to “Tools/Macro/Macros” and open the macro window. A window is displayed. Click on “Browser” and pick the json saved by SkyReal. 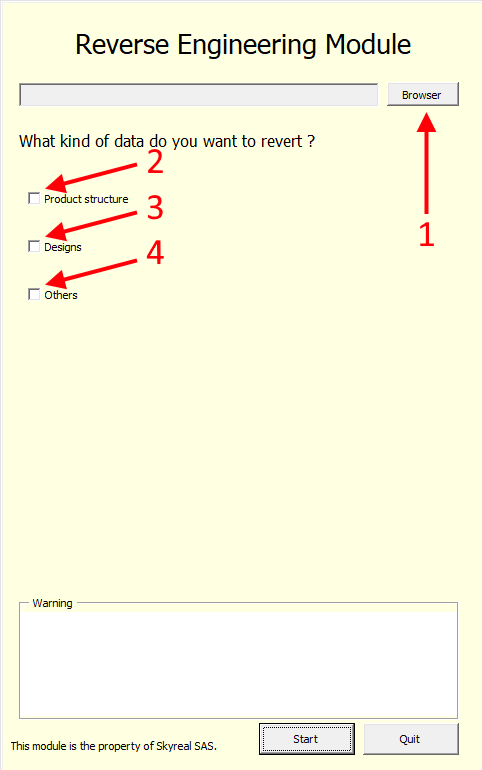 Then, given what you want’s to import in the CAD, check 2, 3 or 4. After checking everything that needs to be reimported, click on Start.